Today I want to speak about something that many of us overlook – it is the importance of looking after ourselves. Nourishing and nurturing ourselves may indirectly lead to breaking the cycle of binging and purging. Avoiding or forgetting to can hinder effective treatments of bulimia. If you have ever paid attention to the safety messages when you’re flying, you have heard some great advice. They tell you that if there is a problem and the air pressure in the cabin drops parents should put on their own oxygen mask before attempting to help their kids. The message is simple – you cannot help others if you aren’t in good shape yourself. This is something that has emerged from countless bulimia stories that I have encountered over the years. Many women who come to me for help are literally running on empty. Part of the problem is the societal expectation from women who are required to give and then give some more of themselves. It is a kind of conditioning that tells women to put others before themselves. The other part of the problem is we put ourselves on the bottom of our to-do list. After all we are judged on how well looked after our kids are, how well kept our home is and so on. The result is that we become physically run down and depleted mentally, physically and spiritually. We have low energy levels from not looking after ourselves. Then on top of that we become resentful because we are being taken from constantly. Part of the inner conflict that can give rise to binging and purging behavior is the build up of resentment and guilt. We know that we need time for ourselves and know the importance of nourishing our soul. When we are unable to do this, there is resentment; but at the same time there is guilt about feeling this way. There is no need for that guilt. Until you are healthy, fulfilled, and happy, you are not equipped with the tools to ensure that your loved ones are healthy, fulfilled and happy. 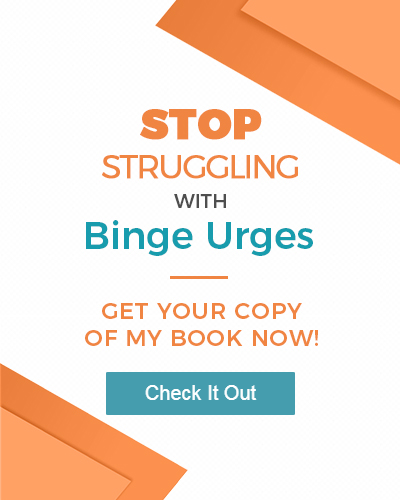 To break the cycle of binging and purging and to make sure that treatments for bulimia have the best chance for success, fill your inner well first. An empty well is no good to you or others. Fill your well to overflowing and then you can be a place where others come to for a drink. These are great tips for everyone to keep in mind. I love the oxygen mask analogy! Hi Crystal, I’m glad you liked the bulimia tips. I will do my best to continue to keep posting ideas about recovery, so keep checking back. Thank you! Thanks, Lawrence, nice to hear from you! Sorry, but I honestly don’t know. I have a feeling a quick visit to good ‘ol Google and searching for that will be able to answer it for you.